There’s little doubt that Google is hard at work making the Pixel 4, but with the phone not expected to arrive until October we wouldn’t expect Google to be talking about it yet. But it is, or at least a Google employee is. In a comment posted to an Android Open Source Project code change, spotted by 9to5Google, a Google software engineer mentioned the Pixel 4 by name three times, as you can see below. The mentions don’t tell us a whole lot, other than suggesting that the phone is in development and likely called the Pixel 4. But with the handset being mentioned so early by a software engineer in the context of error fixing, it sounds like it’s further through the development process than we’d have expected. Will this be a 5G phone? That doesn’t mean the Google Pixel 4 will launch earlier though, as we’d still expect Google to leave around a year between handsets. We’ve heard a surprising number of rumors about the phone already, which further suggests it could be close to being finished. 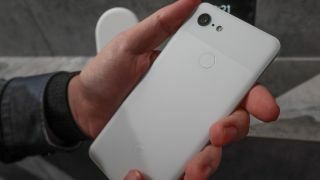 Earlier reports suggest that the Google Pixel 4 might have a Snapdragon 855 chipset and 6GB of RAM, while the Pixel 4 XL could have a punch-hole front-facing camera and a dual-lens rear camera. This far out we’d take all of these rumors with a pinch of salt of course, but you can expect to hear plenty more Pixel 4 leaks over the coming weeks and months.